Using open data from the Data Mill North, Liam Bolton began exploring the Road Traffic Accidents datasets available on the portal. 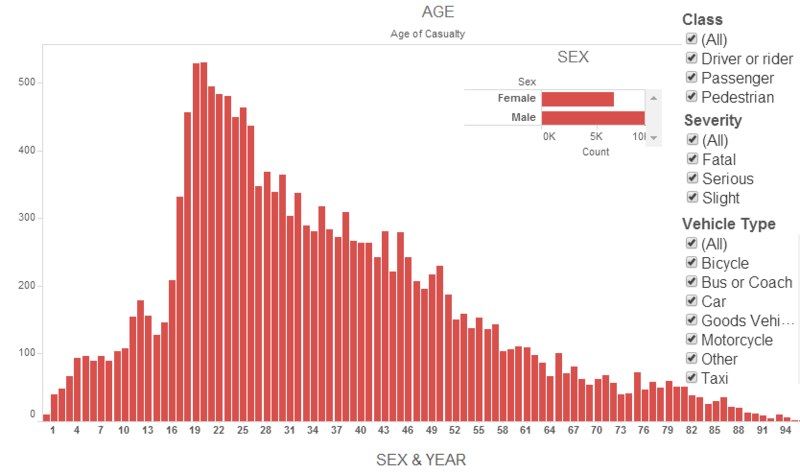 Taking a journalistic approach of identifying the Who, What, Where and When of the casualties, Liam undertook some statistical analysis using programming language ‘R’, and created a series of data visualisations to explore the data with Tableau. Following some interest in the work, ODI Leeds and Liam are undertaking a campaign to bring more attention to the problem. Working alongside Rob Greenland, Co-director Social Business Brokers CIC, Stuart Clarke of Bloom and the Data Mill North, they will be turning the analysis into a long-term project.